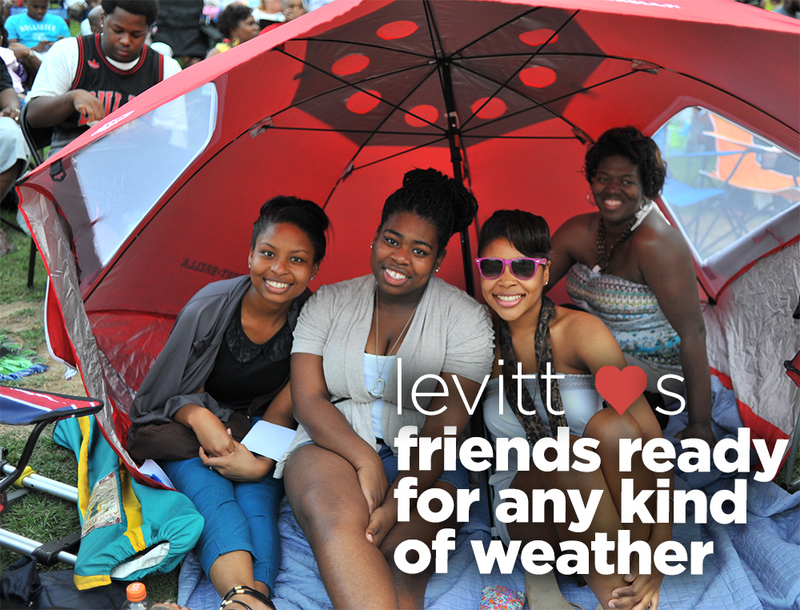 Levitt LOVES…friends ready for any kind of weather! This tent-sized umbrella looks ready to protect these friends through wind and rain, sun and snow and loose beach balls on the lawn. Love it! This entry was posted in Levitt Loves on April 8, 2014 by Melissa Smith.